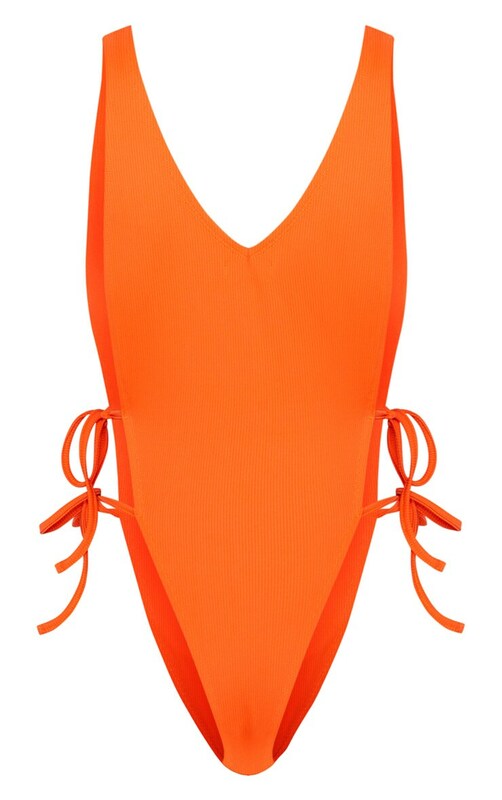 This swimsuit is perfect for the vacay season. 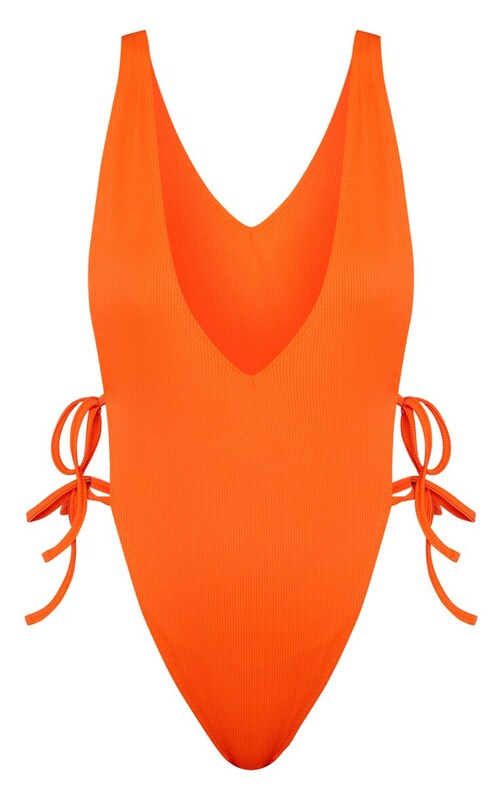 Featuring an orange ribbed material with a tie side detail and a plunging neckline. Style this swimsuit with a pendant necklace and some sky-high wedges for a poolside look we are loving.